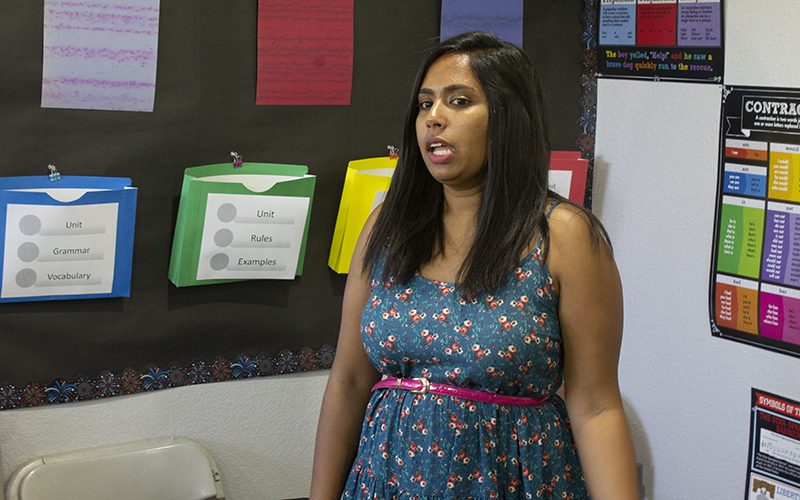 PHOENIX – Lack of information – and plenty of bad information – has led to heartache and confusion when family members search for loved ones who are in custody, immigration attorney Rekha Nair says. 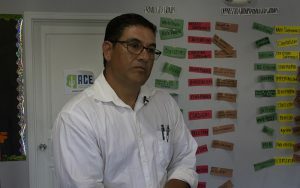 Dozens of residents and immigration advocates gathered in Phoenix earlier this month to learn how to navigate the specifics of immigration-court cases, including how to locate detained family members through such online databases as the Maricopa County Sheriff’s Office inmate lookup and ICE’s Online Detainee Locator System. On any given day, 3,000 immigrants, some of whom are citizens or legal permanent residents, are detained in Arizona, according to the American Civil Liberties Union of Arizona. Because local law enforcement officials must work with federal immigration officials, it can be difficult to figure out where an undocumented immigrant is being held. If an officer arrests an undocumented person for driving without proper identification, it’s difficult to find out where the detainees are, said Nair, who helped to lead the training. Without family members, Nair said, immigrants in custody may become discouraged while making their way through court. Living United for Change in Arizona (LUCHA), a nonprofit that works with lower- and middle-class families to advocate for racial and economic equality, conducted the training session. Aldo Gonzalez, immigration services coordinator at LUCHA, helped Nair walked the attendees through a common scenario: What happens when a driver without documentation gets pulled over in Maricopa County? In that case, the driver will be cited for driving without a license and taken to the county’s Fourth Avenue Jail. Authorities will run the driver’s fingerprints, and once officials realize the person is undocumented, Immigration and Customs Enforcement agents stationed at the jail will take the person into custody upon release by county sheriff’s deputies. 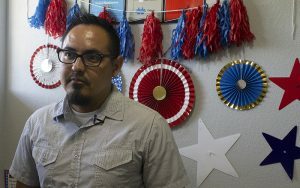 The training was personal for Aldemaro Peña Figueroa, who moved from El Salvador as a legal permanent resident in 2001. He did not become a naturalized citizen until 2017. The continuing rush of Salvadorans fleeing violence and poverty in his home country, and the current issue with family separation at the southern border, saddened and emboldened Peña, he said. The Mexican Consulate fights for Mexican people, Peña said, but the Salvadoran Consulate is falling short in the protection of its people against the U.S. government’s policies. Peña came to the training to learn how he can help. “I can actually visit people at the prison and try to give them some hope,” Peña said. Other ways advocates can help, Nair said, is to donate to legal services and team with local nonprofits, such as Trans Queer Pueblo and Puente Human Rights Movement, that visit incarcerated migrants.